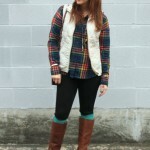 Of all three looks this week, I think this just might be my perfect Thanksgiving outfit! 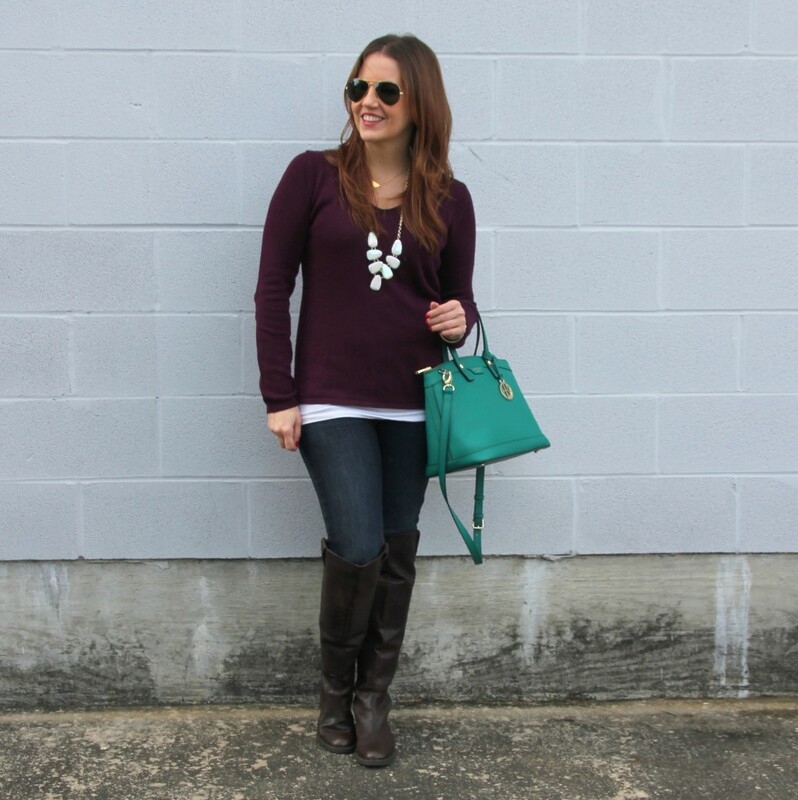 A light sweater, tall boots, and a little statement jewelry is one of my go-to fall outfits. 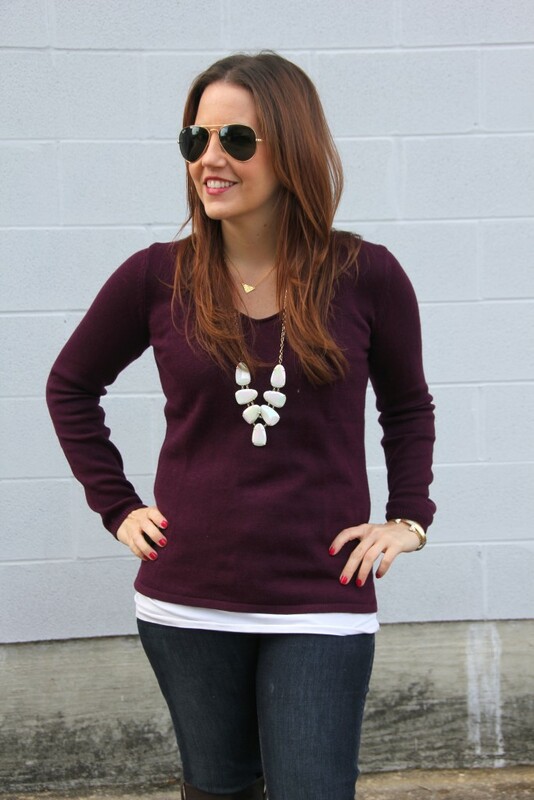 I love the casual aspect of this outfit with the pullover sweater and jeans. 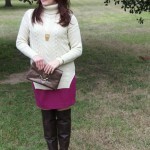 These riding boots are just slightly over the knee which creates a bit of a different look than my normal riding boots. 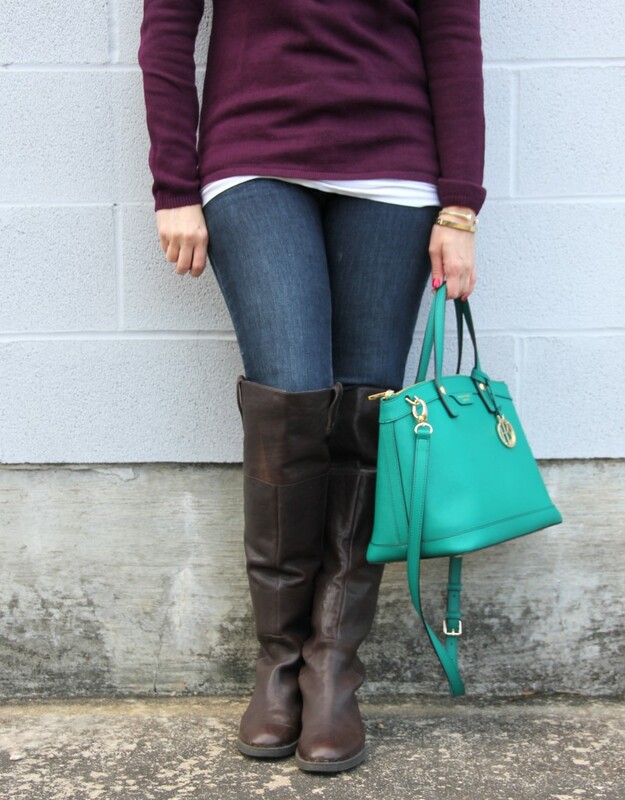 I purchased these boots last fall, but I found them still available! 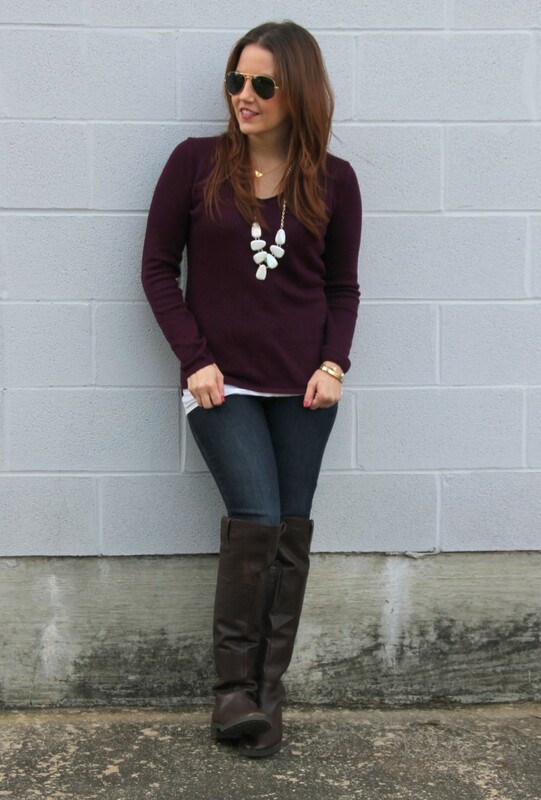 While the boots keep this look a little dressed down, I made sure to still add a little something sparkly with my Harlie necklace. 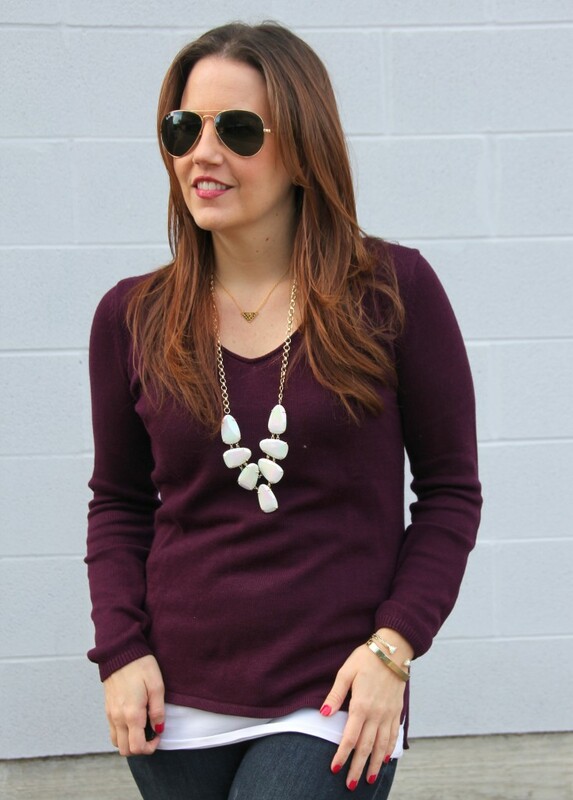 I love the iridescent white stone from Kendra Scott. At times you only see a white stone, but as you move and the light hits it you see the different colors bouncing off of it. My pictures honestly do not do this beautiful stone its justice! 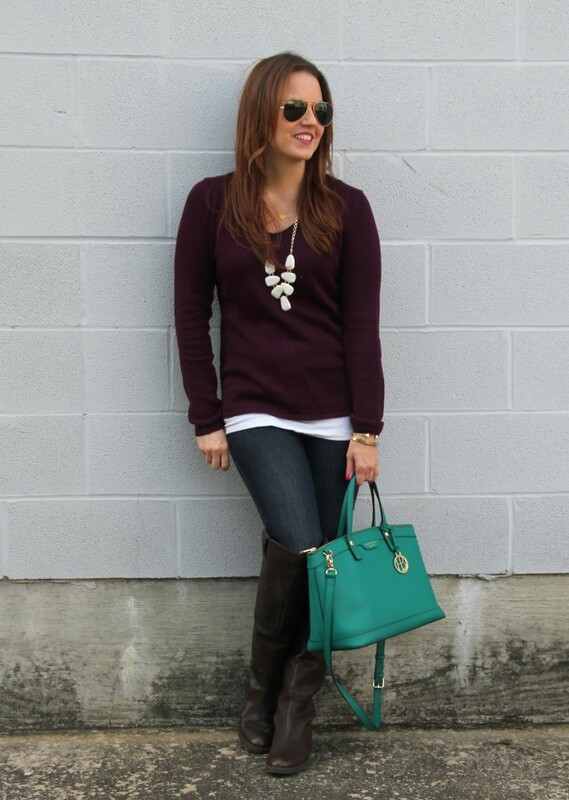 This look is a little bit relaxed casual and a little bit dressed up casual which is why for me it is just perfect! 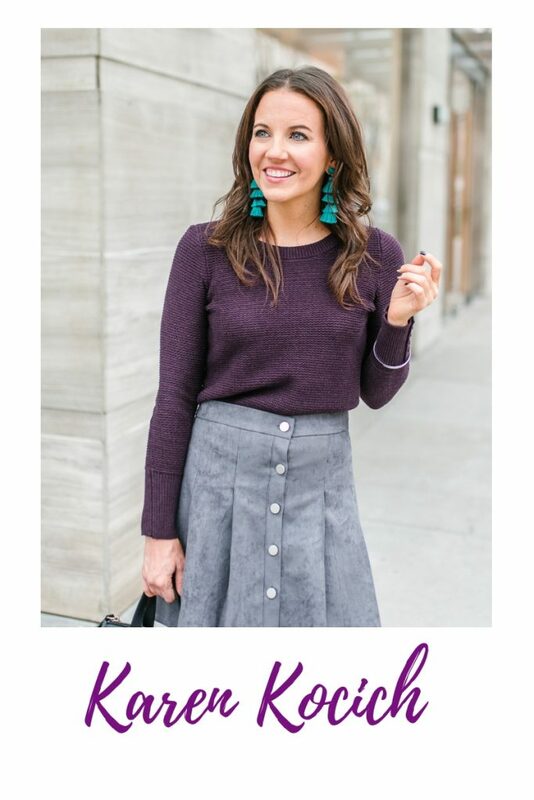 I hope you enjoyed all the Thanksgiving outfit inspiration this week, and hopefully found a few ideas for the holiday or just for the fall season. I am off to the Nutcracker Market today with some girlfriends. The market is huge and amazing, and one of my favorite things to do in Houston in November. I take off work every year to attend. The market is filled with boutiques, holiday decorations, gift ideas, and food! The ticket and even some of the sales benefit the Houston Ballet Foundation. If you live in Houston, the market runs through Sunday and is definitely a fun holiday experience!! How cute! 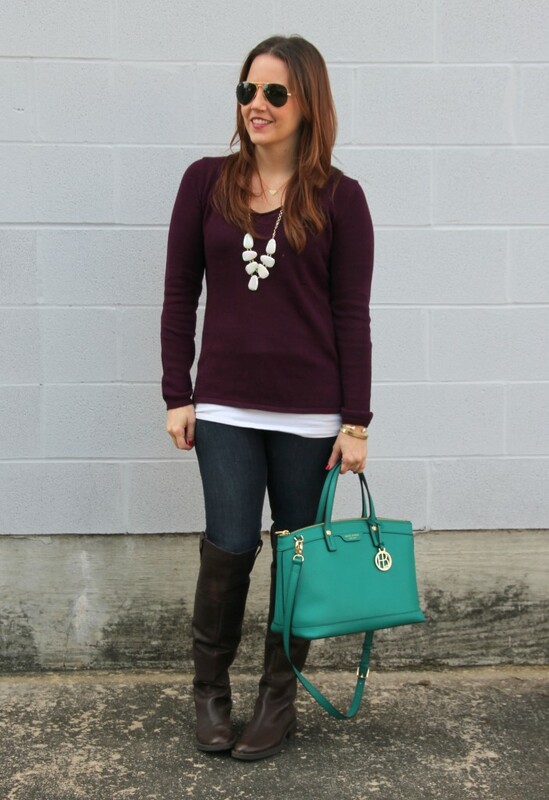 I love that plum color! love this outfit. is the white underneath a cami? 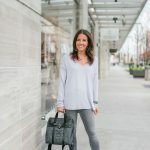 I’m looking for something like this that will be a little longer than other tops… do you have a link? Thanks! I own like a dozen of these in various colors. I like that they are long and the straps are adjustable.